Certified® has pioneered and developed the use of the pile brush longer than any other machine manufacturer. Certified® introduced the first two-motor horizontal Pile Brush unit ever manufactured. 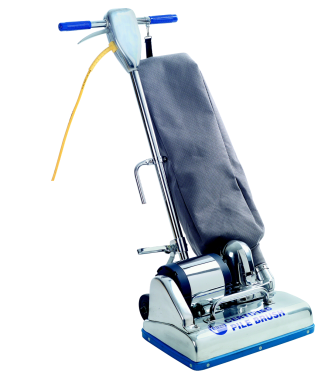 It is the opinion of thousands of Certified® Pile Brush users, that no cleaning job is complete or professionally done unless prepared by pile brushing. Skillfully engineered and ruggedly built, the Certified® Pile Brush is the industry's leader. 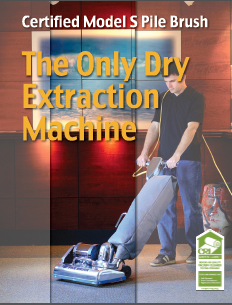 The Certified® Pile Brush is the only dry extraction machine. Dry soil is much easier to remove than wet soil. There is no down time after cleaning. People can continue to walk on the carpet immediately after dry extraction. The carpet is not left wet or slippery which can allow mold and mildew to grow. Slippery carpet can cause accidents. Dry extraction removes the deeply embedded soil along with abrasive sand/particles that ruin the appearance of the high traffic areas. No solution tanks to fill. No recovery tanks to empty.